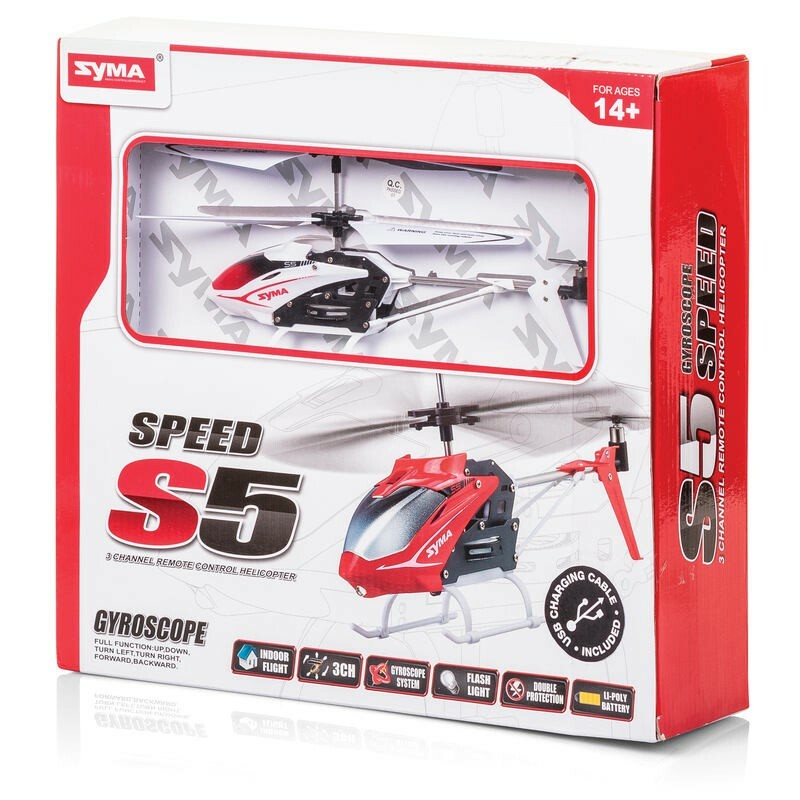 The Syma S5 remote control helicopter is an ideal starter model for RC enthusiasts thanks to its low price point and simple design. This IR controlled 3-channel helicopter can move backwards and forwards, up and down, and can turn left and right on the spot in mid-air. Including enhanced gyroscopic stabilising features as well as double protection cut-out technology in the event of a crash, it’s simple to operate and maintain. It charges in 50 to 60 minutes via USB connection with the included cable or straight from the controller for a flying time of roughly six to eight minutes.